We are a group of volunteers who for over 30 years have gone to Latrobe Excela Hospital to pray the prayer of St. Vincent de Paul, visit with the patients of Saint Vincent Parish, and distribute our “Loving Hearts and Helping Hands Service Brochure.” Our founder was Sarah Fromme. Her goal was simply to be there for our parishioners in prayer and support. Each person, couple, or team is scheduled about one week per month from Sunday to Saturday. You can go visit our parishioners when it fits with your schedule anytime from 9:00 AM until 8:30 PM. You pick which days that week you would like to visit. We ask at least 1 day, with 2 days recommended out of the 7 days for your assigned weeks. A smile, warm heart, listening, a willingness to pray the St. Vincent de Paul prayer card with them and explain the brochure of the services our Social Ministries program provides. 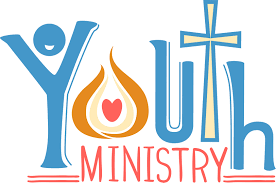 We ask that you you have all clearances and trainings required by the Diocese of Greensburg for all volunteers, then shadow once or twice before you do your assigned week. You will receive a nametag and a packet. You must check in at the front information desk of the hospital and ask for the list. We do not visit the intensive care unit. We leave that up to the hospital chaplains. For now, schedules are mailed once every three months. A parishioner was heading to surgery later that day and her family could not be there for her. Our prayer and visit took away her loneliness and fear. A parishioner was anxiously awaiting test results. Our presence gave him comfort and reassurance. A new parishioner and their family were thrilled to learn that their parish reaches out when you are not well. Our presence provided love and a new spiritual family for them.